Thank you for taking the time to visit my Asian Wedding Services in West Yorkshire and Yorkshire page. 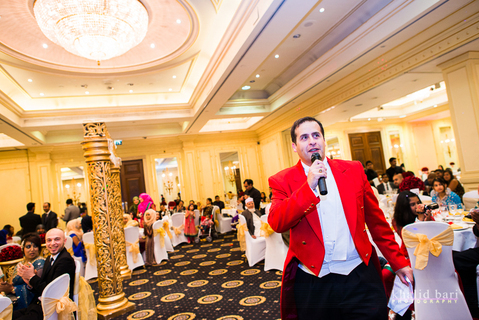 I will be delighted to be of assistance should you require my services as Asian Wedding Toastmaster and Master of Ceremonies in Bradford, Leeds, Sheffield, Doncaster, Harrogate, York, Grimsby, Lincoln, and Nationwide and Worldwide. I work very closely with all of the Leading Asian Wedding Suppliers in Bradford, Leeds and West Yorkshire. Some of these include Asian Wedding Caterers such as Apnakhana Catering, RajShahi, Bobby Sarwar, Domain Catering and lots more. I Will also be delighted to be of assistance in many of the Asian Wedding Venues in West Yorkshire, some of these include, Midpoint, Leeds United Football Club ,The Armouries, Saviles Hall, The Old Golf House and lots more. Please kindly view my home page for more details, this will include my duties, my blog, my award achievements, my reviews and lots more. I look forward to hearing from you, and will be delighted to help you.